In 1904, the Hillsdale Standard noted that the Hirsch Greenhouses were among the finest and most complete in the state of Michigan. 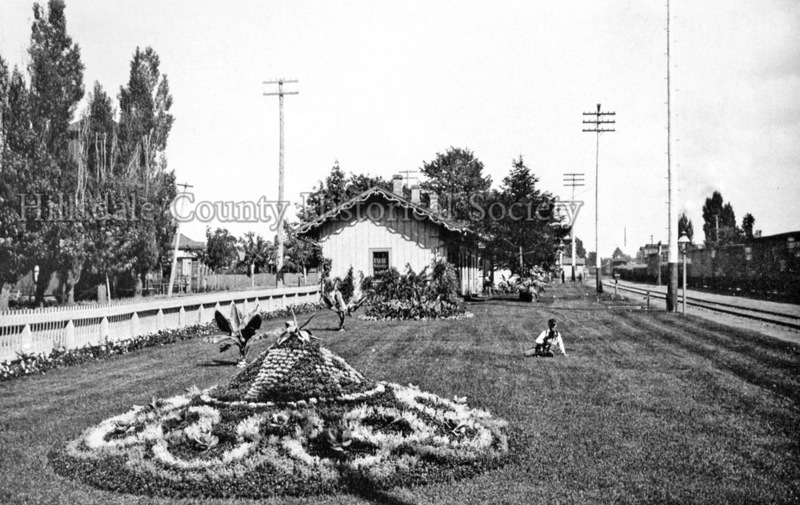 Formerly the florist for the Lake Shore and Michigan Southern Railroad, Carl Hirsch was in charge of landscaping the New York Central Railroad Company railroad yards from Toledo to Chicago. Until his untimely death in 1915, his Hillsdale gardens were greatly admired. The floral business of Carl Hirsch, at Railroad Street (now Carleton Road) and Spring Street, was the predecessor to Smith’s Flowers. While Smith’s started along the railroad, the Blossom Shop reportedly began in a garage. Today, Smith’s flourishes in a former electrical shop across from City Hall, while the Blossom Shop prospers in a former hardware store across from Courthouse Square.